There has been a Significant Name Change to a hill that is listed in the 200m Twmpau, and as the summit of the hill is covered in a conifer plantation only the height of the bwlch was surveyed with the Trimble GeoXH 6000 which took place on the 29th October 2017. 200m Twmpau – All Welsh hills at and above 200m and below 300m in height that have 30m minimum drop, with the word Twmpau being an acronym for ‘thirty welsh metre prominences and upward’. 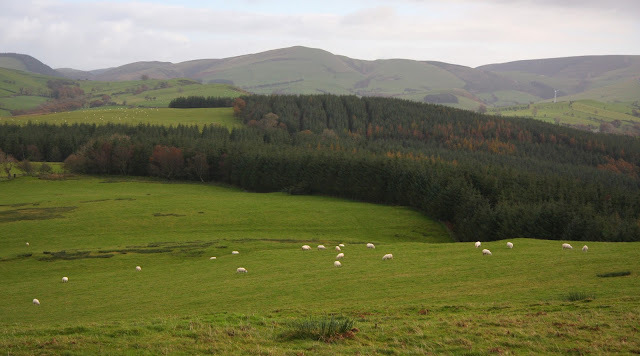 The hill is adjoined to the Pumlumon range of hills which are situated in Mid and West Wales (Region B, Sub-Region B2). The hill overlooks the A 489 road to the north and the Afon Dulas which is to the south, with the town of Machynlleth to the west north-west. 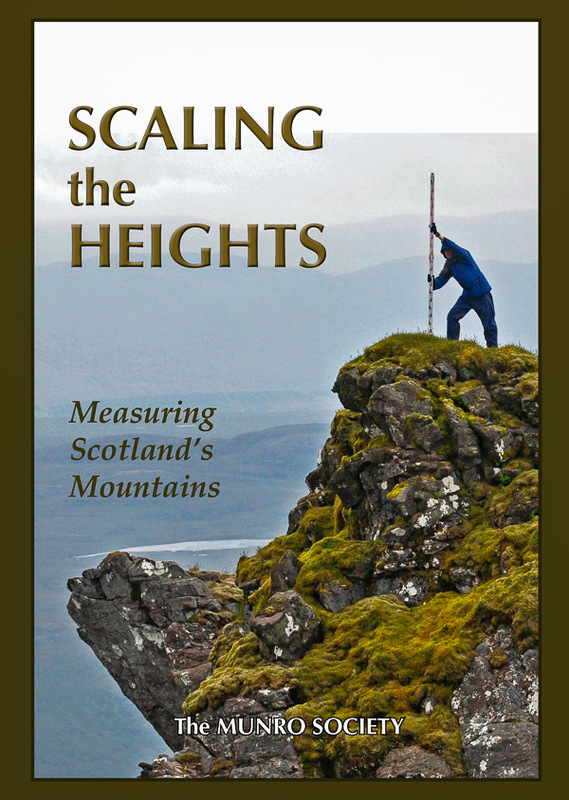 The hill appeared in the 200m P30 list on Geoff Crowder’s v-g.me website under the name Allt Goch. During my early hill listing I paid little regard to name placement on a map, or the meaning of names and to what feature the name was appropriately applied to and used many names that seemingly applied to a hill and whose placement was nearest the summit of the hill on Ordnance Survey maps of the day. 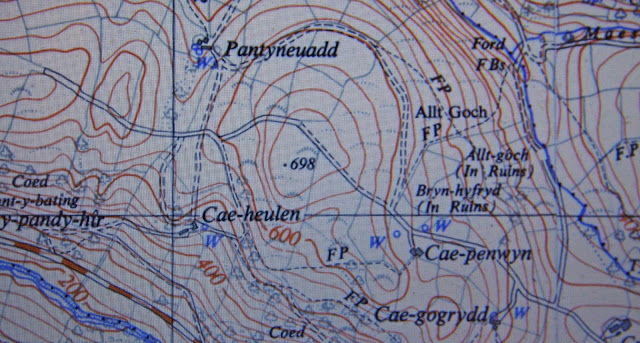 Therefore I prioritised names for listing purposes that I now understand are inappropriate, and as the positioning of the name Allt Goch on contemporary Ordnance Survey maps implies that a part of this hill is known by this name, and as the hill comprises bounded land the details for it were examined on the Tithe map. 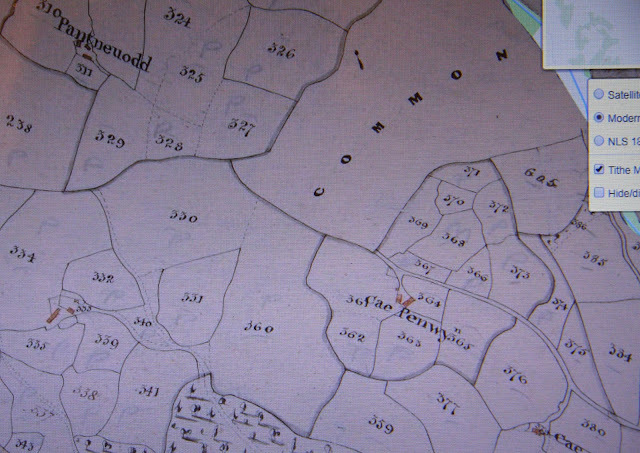 The enclosed land where the summit of this hill is situated is given the number 330 on the Tithe map, this can be cross referenced against the apportionments; it is these apportionments that give the name of the owner or occupier of the land as well as the name of the land. The land where the summit of this hill is situated is named as Ffrydd on the Tithe map and described as Arable Pasture, the details on the Tithe map appear in the county named as Montgomery and in the parish of Penegoes. However, as the name of Allt Goch is consistently applied on Ordnance Survey maps to at least a section of this hill it is worth exploring the land it applies to. The placement of the name Allt Goch is also consistent and appears on the north-eastern part of this hill, this placement compliments the land described as Common on the Tithe map. 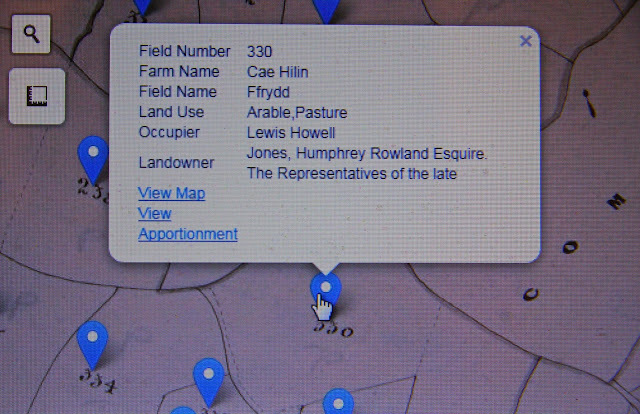 There is also a building named Allt Goch that appears on contemporary 1:25,000 Explorer maps and is positioned at SN 79950 99154 that is described as in ruins on the Ordnance Survey historical 1:25,000 map, this building is likely to have been a farm and is placed on the eastern side of this hill, it is likely that this old farm had direct association with the land named as Allt Goch, but as this hill comprises bounded land it is also likely that only a section of this hill is/was known as Allt Goch, and that this land does not take in the summit of the hill. Therefore, the name this hill is now listed by in the 200m Twmpau is Ffridd, and this was derived from the Tithe map.